We know that wearing white in winter can be a controversial topic for some, but on our end we absolutely support it. 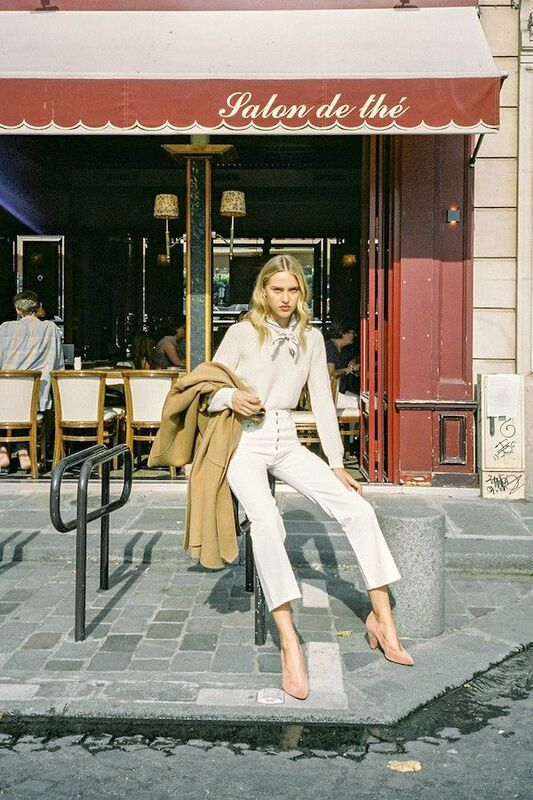 If you're in need of inspiration on how to make white work in the cold-weather months, use this super stylish Parisian outfit as inspiration. 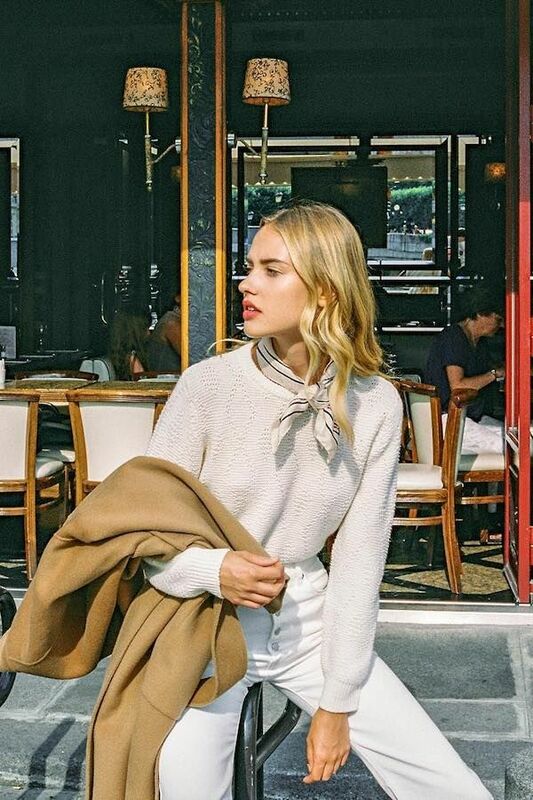 To get the look you need a classic white sweater, a sleek neck scarf, an effortless camel coat, high-waisted white kick flare jeans, and neutral short-heeled pumps.